Champion Racing Association (CRA) officials released their first entry list for CRA SpeedFest 2019 on January 25-26 at Crisp Motorsports Park (GA), with some of the biggest names in Late Model racing already entered for the kickoff event to the CRA season. 2015 Monster Energy NASCAR Cup Series Champion Kyle Busch had already announced his intentions to compete in the non-points counting ARCA/CRA Super Series portion of SpeedFest. 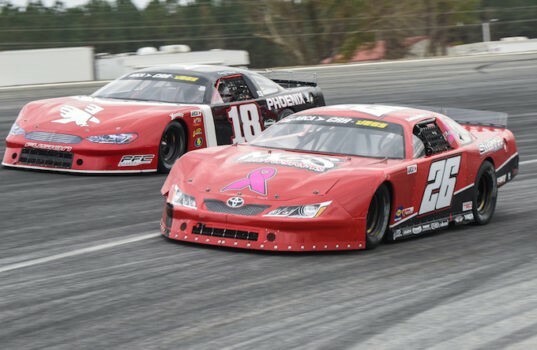 Twenty-seven other drivers have also entered the 200-lap Super Late Model race as of January 14, including past SpeedFest winners Harrison Burton, Bubba Pollard and Chandler Smith. In last year’s event, Smith drove from the rear of the field after a spin with less than 20 laps to go to win his first major Super Late Model race. Other heavy hitters in the Super Late Model feature include defending ARCA/CRA Super Series champion Josh Brock, 2018 Southern Super Series champion Casey Roderick, five-time Snowball Derby winner Rich Bickle, Stephen Nasse, and Steve Wallace. Brian Campbell, a three-time winner on the ARCA/CRA Super Series circuit last season – including the Money in the Bank 150 at Berlin Raceway (MI) – will also be in contention. Other drivers boasting Super Late Model wins last season in the field include Kyle Plott, Chris Dilbeck and Corey Heim. Roderick will also be competing in the JEGS/CRA All-Stars Tour 125-lap feature for Pro Late Models, a race he won in 2017. Steve Dorer, like Roderick, will compete in both Late Model events on Saturday, January 26. 17 cars are currently entered for the Pro Late Model race, with more expected in the coming days. The full entry lists for both Late Model divisions can be seen at the bottom of this story. 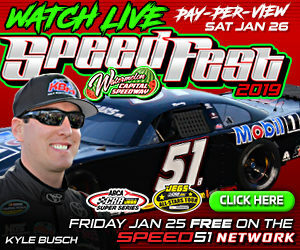 Race fans unable to make the trip to Cordele, Georgia for SpeedFest will still be able to witness the action, as Speed51 will stream the event for the fifth straight year. The Speed51.com live video stream will feature 325 laps of racing, 200 for the ARCA/CRA Super Series Super Late Models and 125 for the JEGS/CRA All-Stars Tour Pro Late Models, for just $24.99. The event will be a multi-camera stream utilizing the track’s public address announcers. If you can’t make plans to attend in-person, click here to purchase your Speed51 TV pay-per-view ticket today. For more information about CRA SpeedFest, please visit crispmotorsportspark.com or the series website of cra-racing.com.